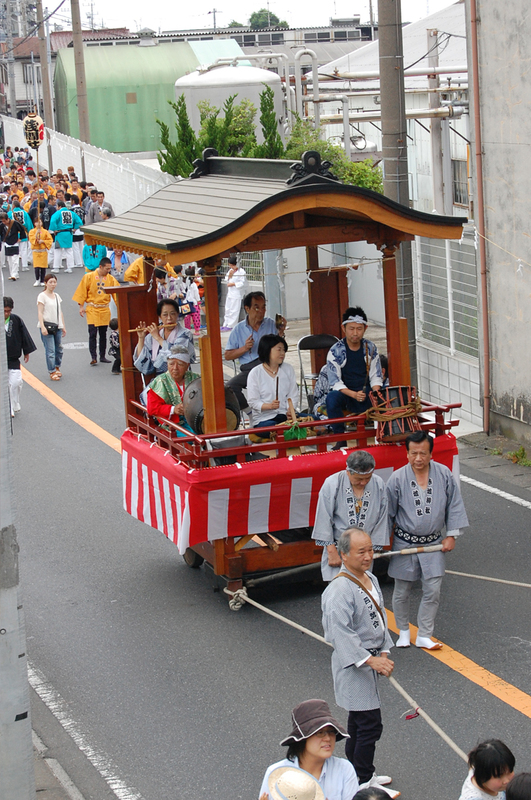 The Osugijinja Shinto Shrine Festival in Kagishi is held on the Saturday and Sunday in late June. 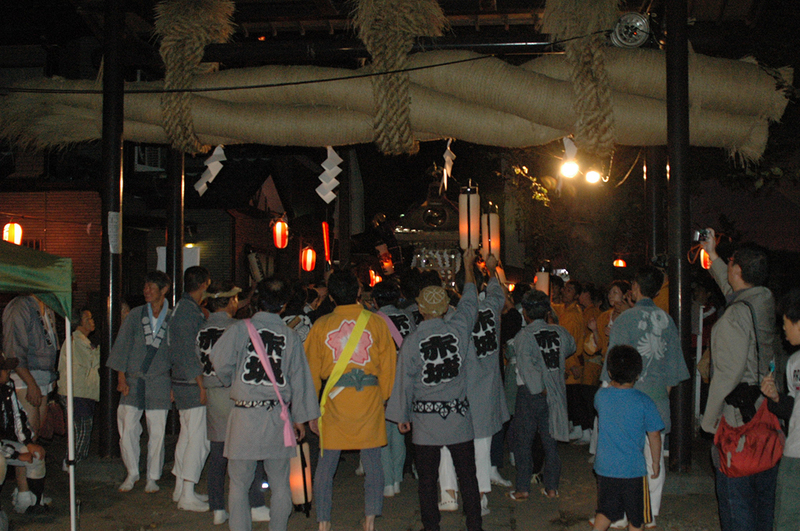 The festivals of Sengenjinja Shinto Shrine in the Nego region and of Akagijinja Shinto Shrine in the Shuku region are also held in the summer and autumn. 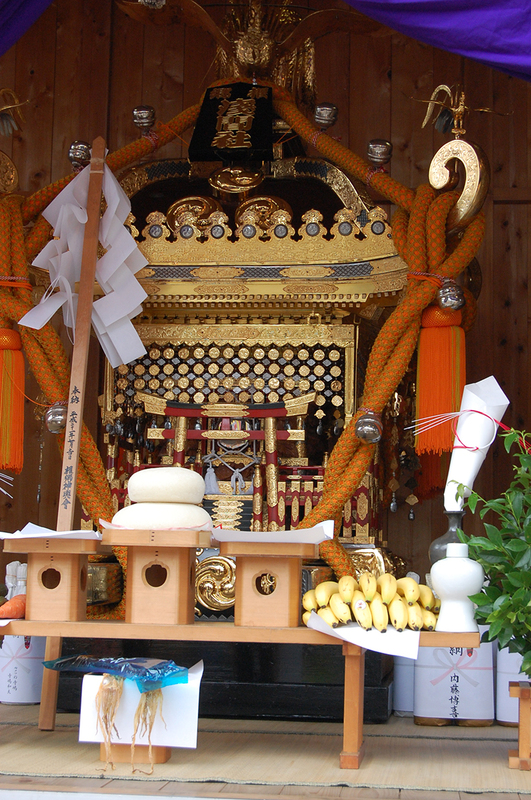 The Osugijinja Shinto Shrine Festival held in a rainy season signals the arrival of summer in Nagareyama. 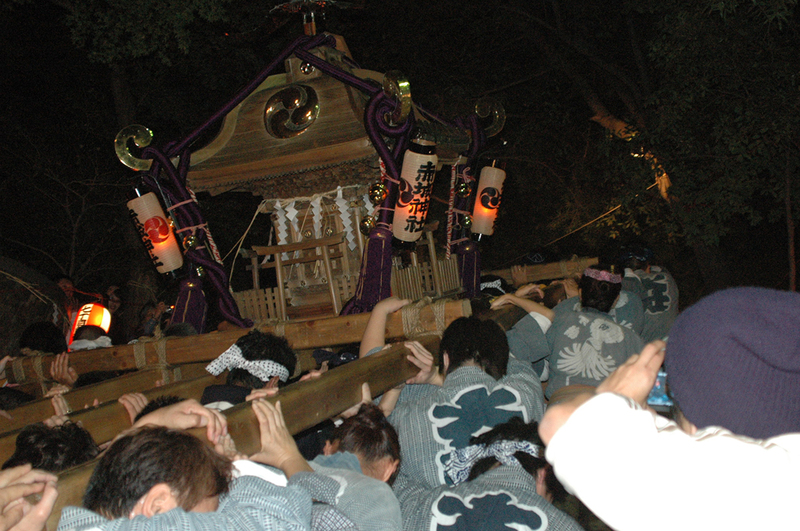 The Sengenjinja Shinto Shrine Festival is held on the Saturday and Sunday early in July. 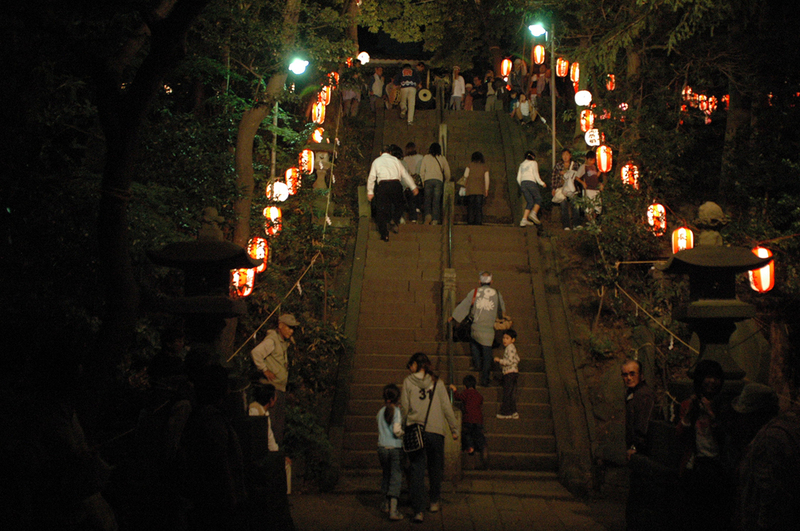 It is said that if you climb to the top of the Fujizuka (artificial mound shaped like Mt. Fuji) in the shrine, you can obtain the same divine favor as you can get by climbing Mt. Fuji for real. 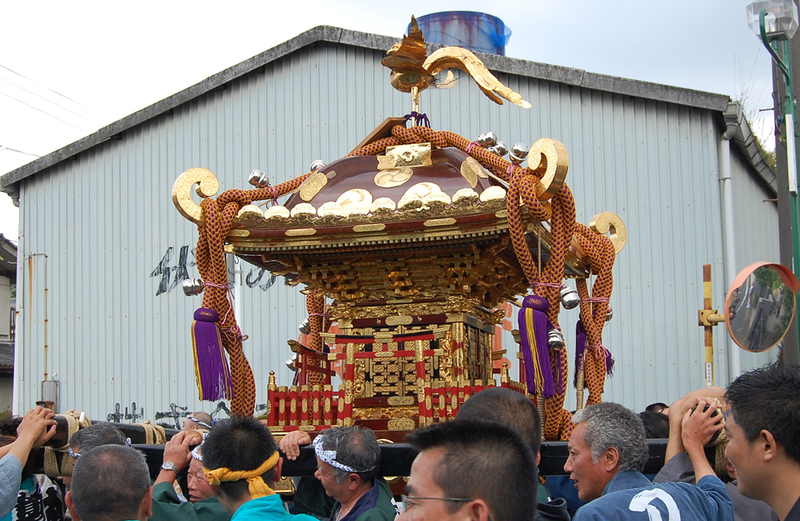 The color of the happi (workman’s livery coat) of those who carry the mikoshi (miniature shrine) is brilliant gold. 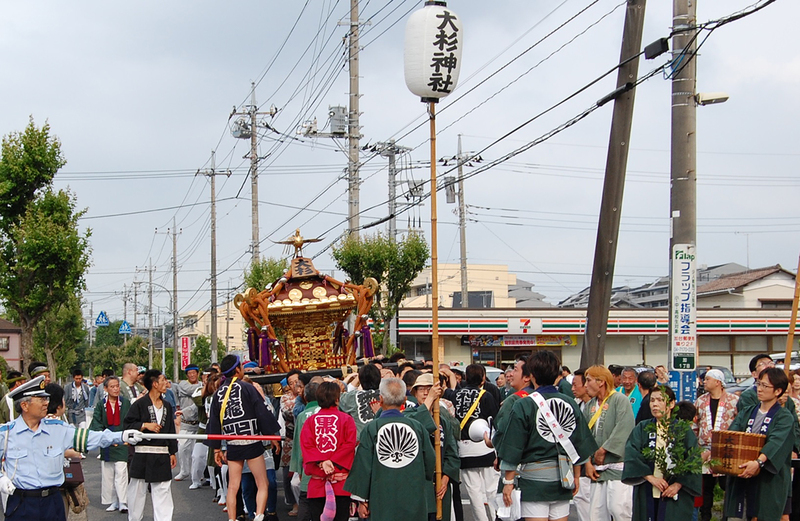 Standing on the bank of the Edogawa river, you can see their carrying of the mikoshi along the street below. ”Ooshimenawa gyouji” (Big Shimenawa (decorative rope) making event),” designated as the intangible folk cultural asset of Nagareyama city is held on the Sunday around October 10, and shimenawa weighting about 700 kg is attached to the torii (a traditional gate at the entrance of or within a Shinto shrine, where it symbolically marks the transition from the profane to the sacred). 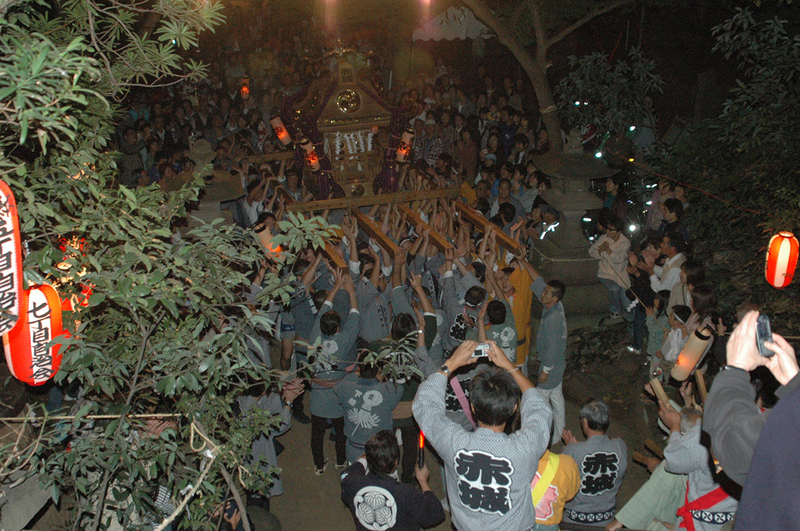 A festival is held on the Saturday and Sunday a week after the event. 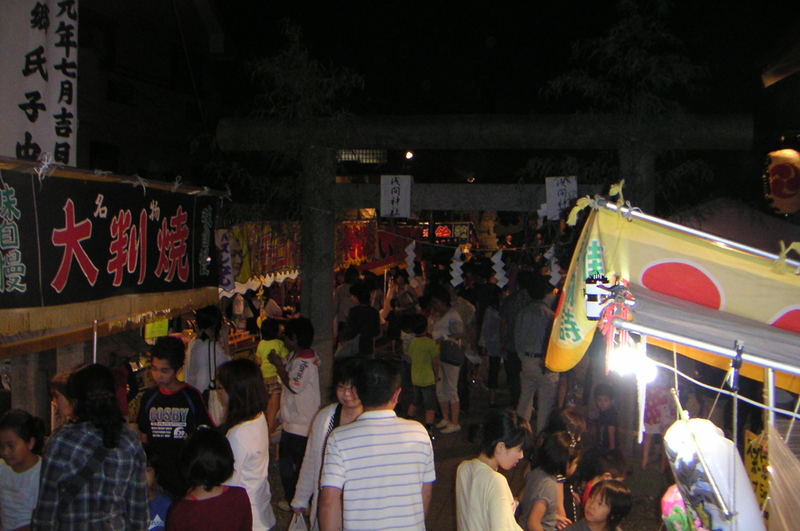 A night-time festival is held on Saturday. 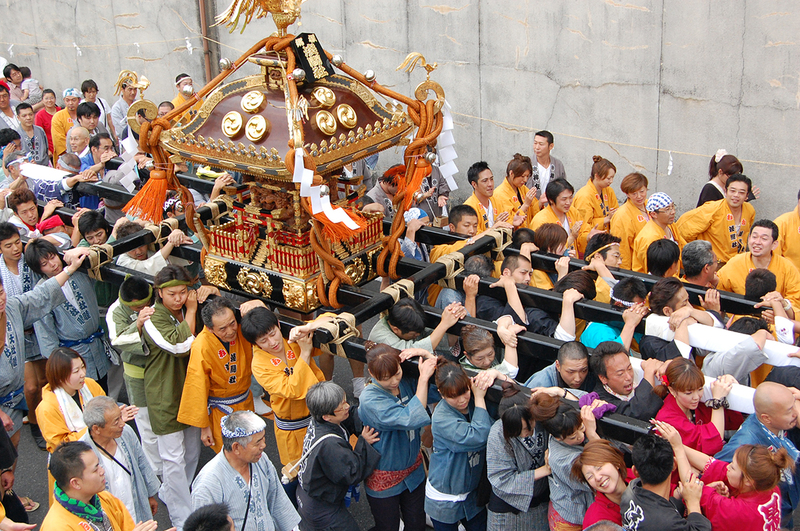 On Sunday, people carrying the mikoshi (miniature shrine) walk around the town in the morning, return to the shrine in the early evening, then finally run up the steep stairs in the shrine, which is a sight to see.